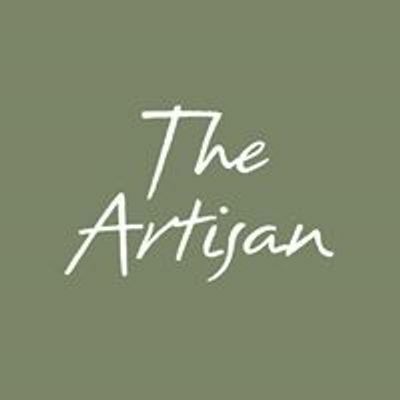 Treat your Mummy, Mum, Mother, Mother in Law, Gran or the special lady in your life to an exquisite Afternoon Tea this Mother's day at The Artisan or give her a gift of one to enjoy, this year. 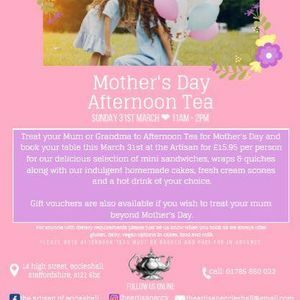 We are offering a delicious afternoon tea so she doesn't have to cook, clean or wash the dishes but relax either with her family on the day or as a gift voucher to enjoy with a friend at a later date. Please book your table for Sunday at The Artisan or pop in for your voucher.